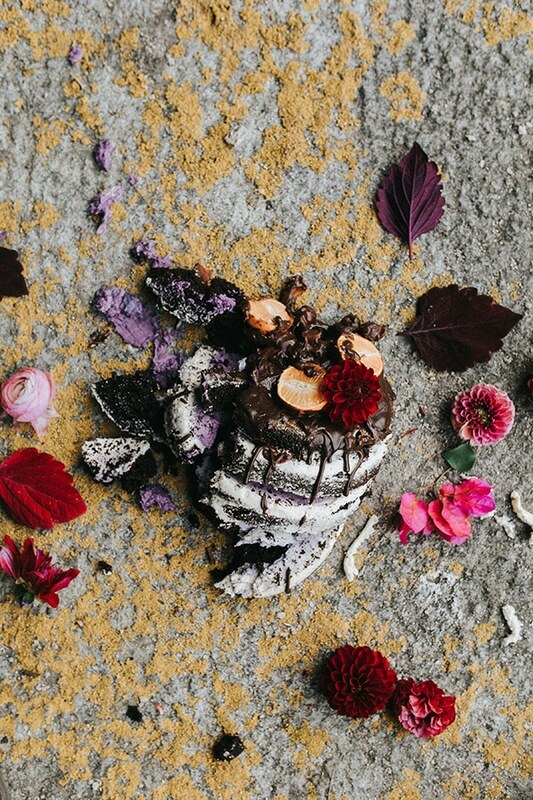 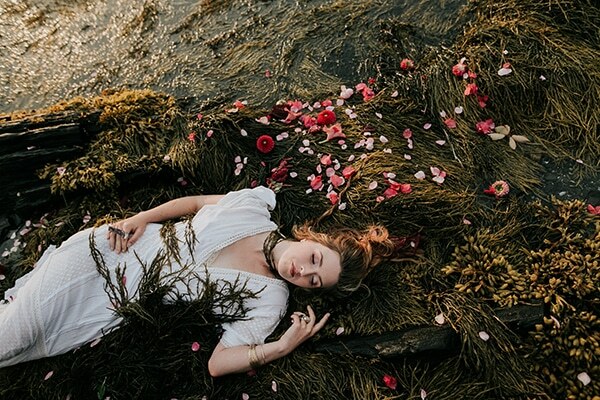 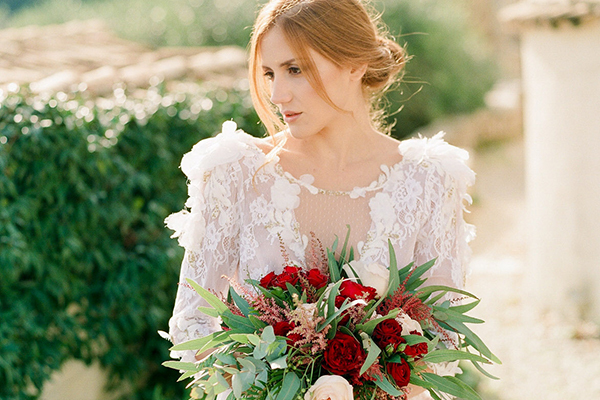 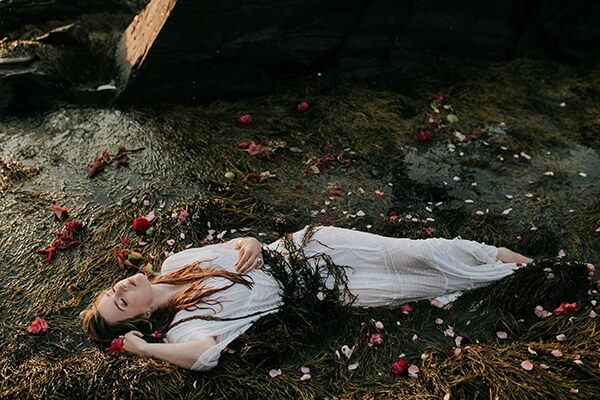 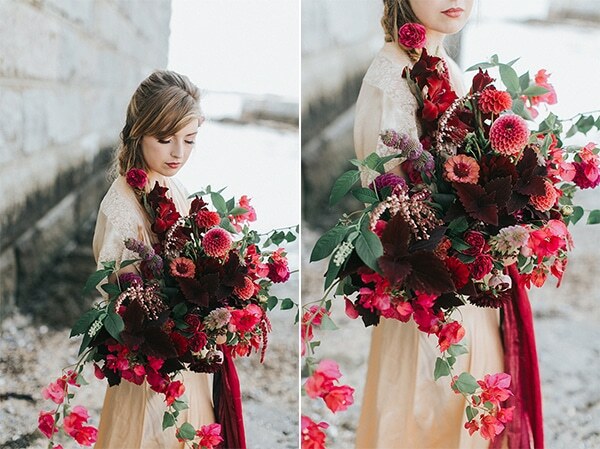 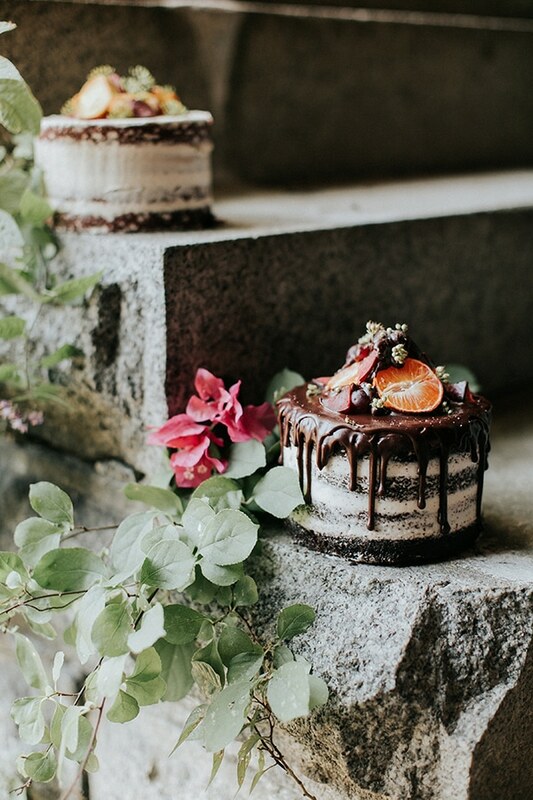 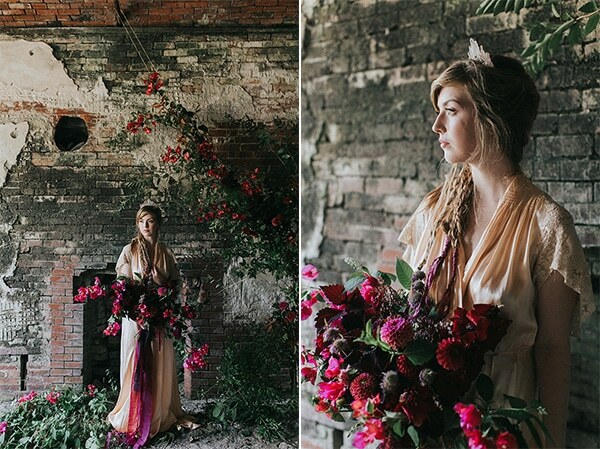 Today we’re sharing with you one of the most chaotic and gorgeous photoshoots! 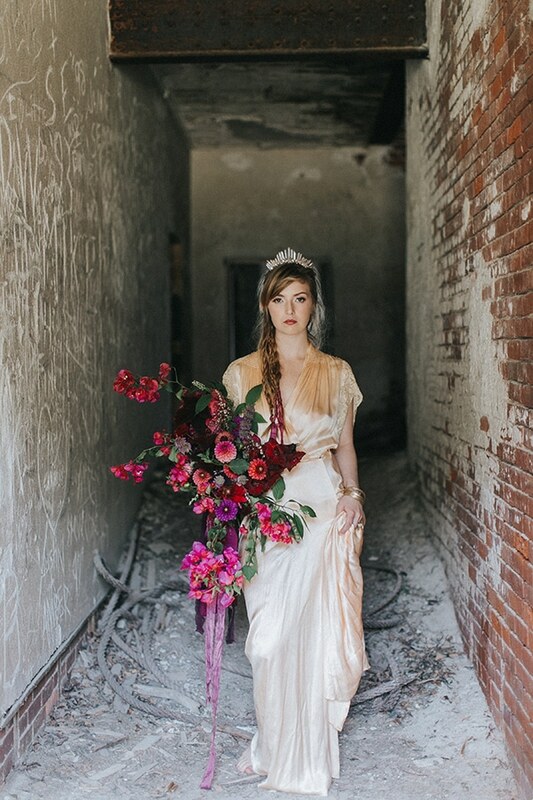 A talented team created the perfect scene for a unique shoot like this one. 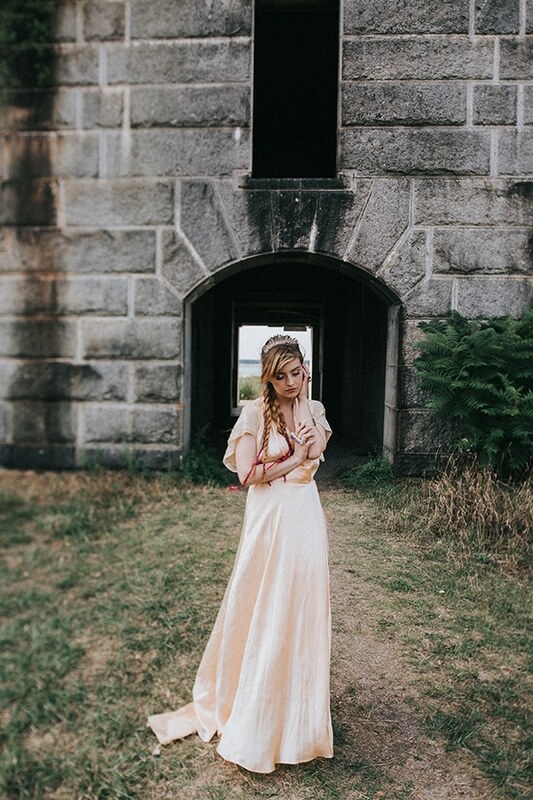 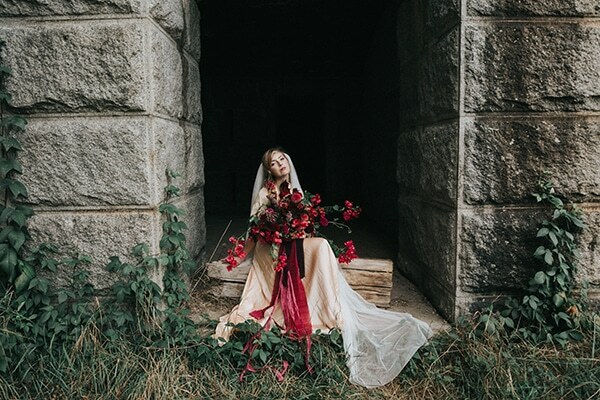 They chose an incredible historical fort in Casco Bay, the “Fort Gorges” which was extremely impressive, and it could only be accessed with caution. 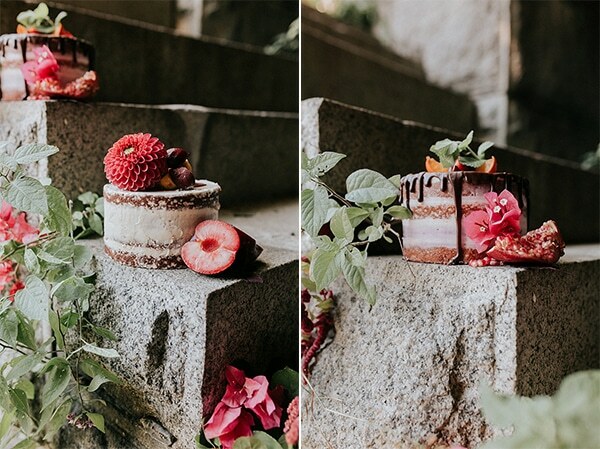 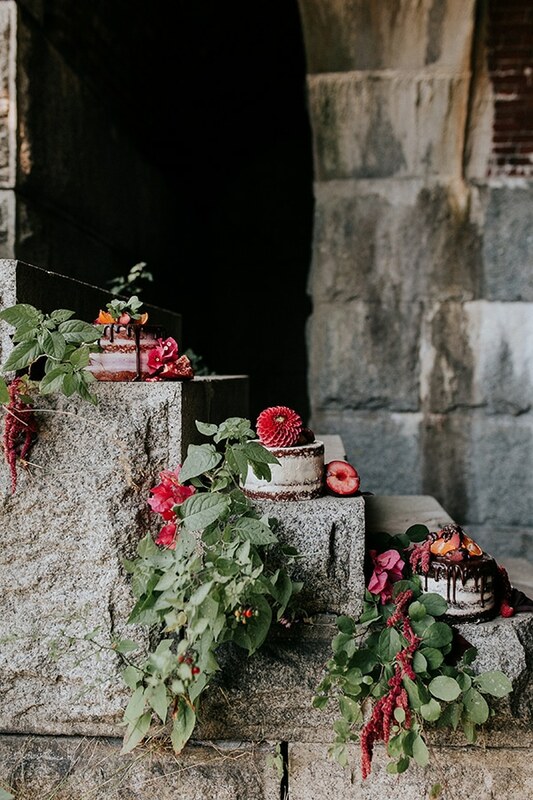 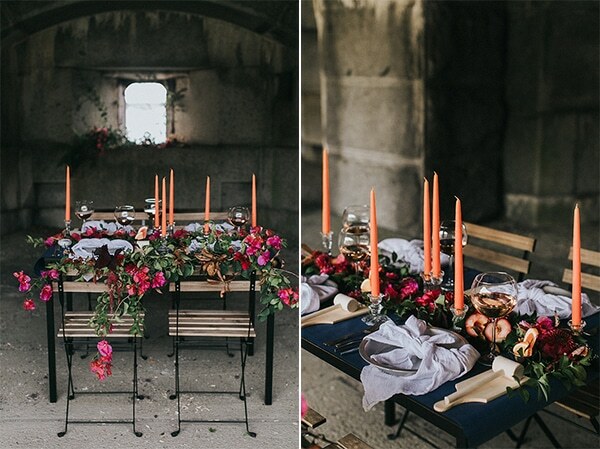 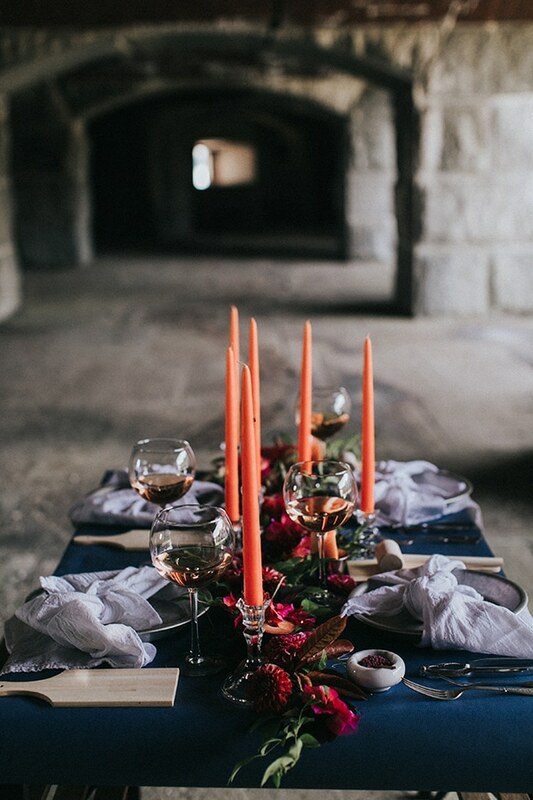 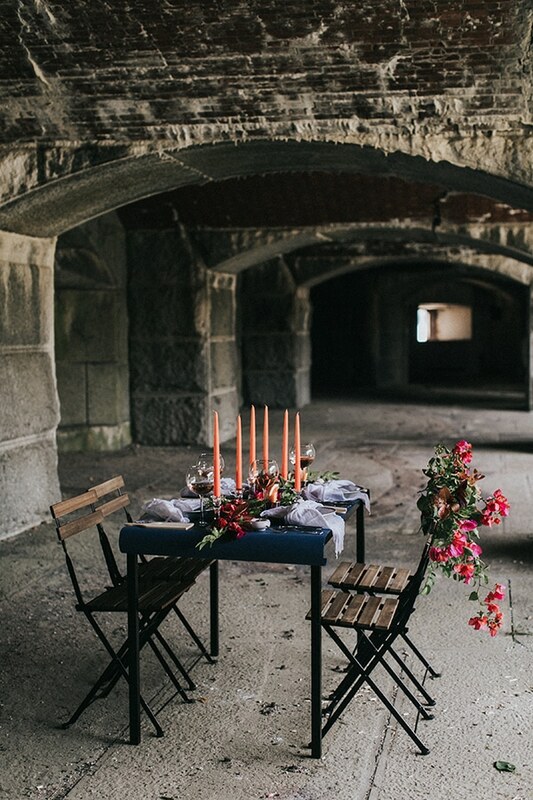 A small wooden table with orange candles, garlands with hot pink bougainvillea, glasses of wine and fruits was set in the middle of a stone room. 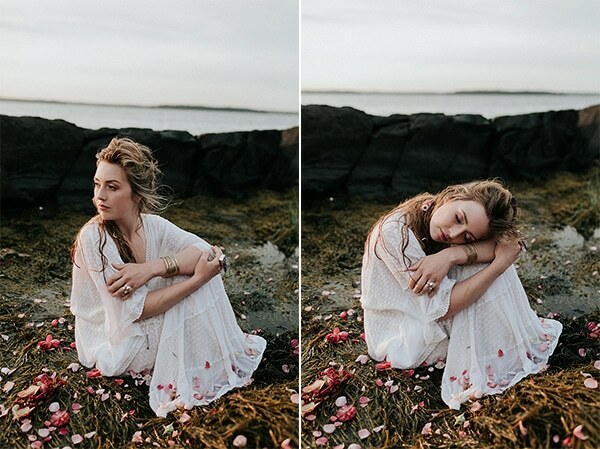 A seductive figure was wearing two masterpieces in beige and white color with loose, comfortable fabrics. 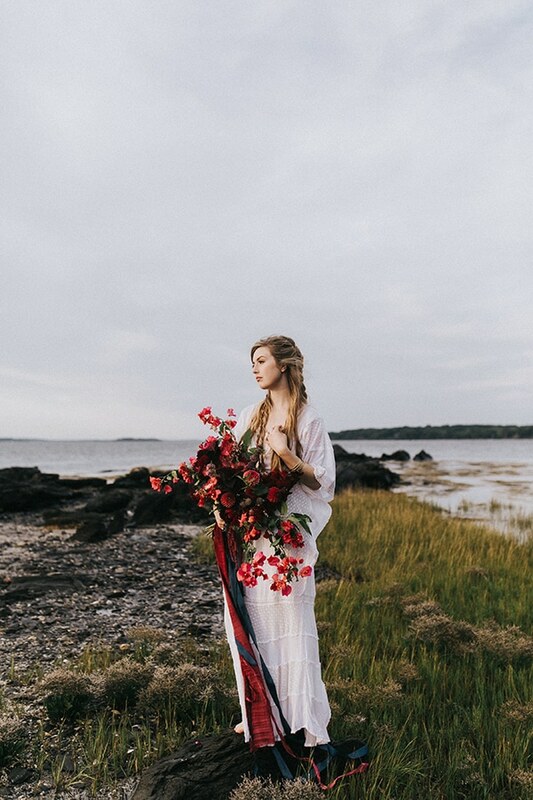 Her braids, her boho style and the different, colorful flowers matched perfectly with the concept of this shoot. 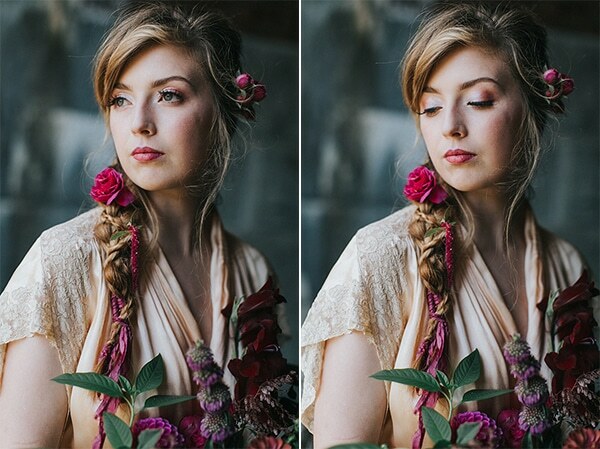 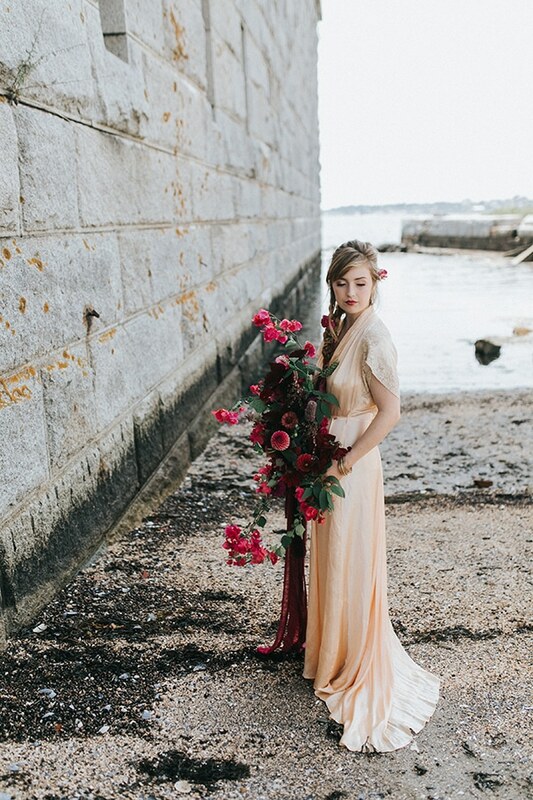 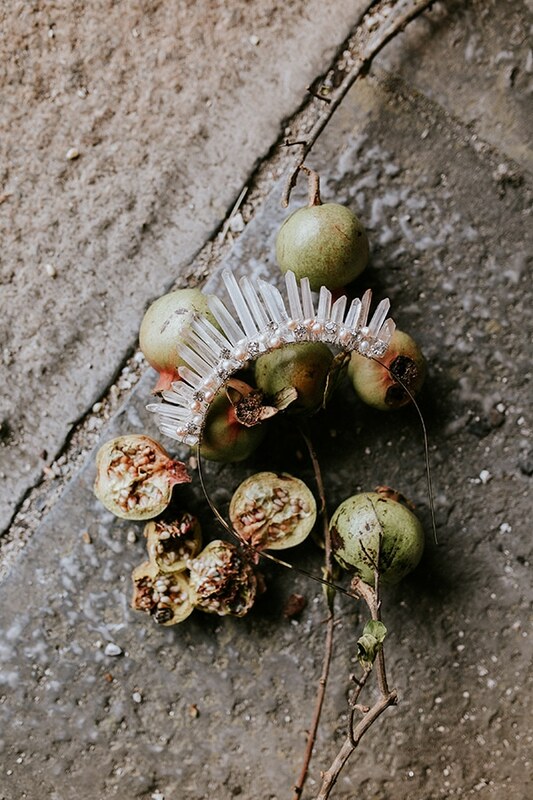 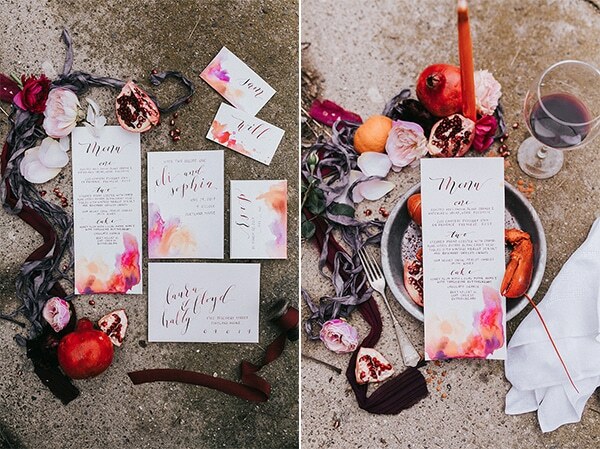 See every single pretty detail through the following images by Emily Delamater Photography!